Check out our Events Calendar and see whats on. 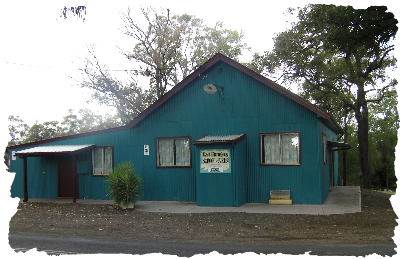 Welcome to our Web Site for East Kurrajong School of Arts. Our Hall is available for hire to 'members' at very reasonable rates. Regular hire, can be used for art, craft, dance or exercise classes. Casual hire is available for members, can be used for wedding receptions, birthdays, kids parties, presentations, family get togethers, reunions. 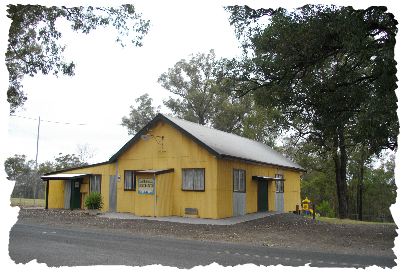 For meetings at the Hall, 1090 East Kurrajong Road, East Kurrajong, see the Events Page. The School of Arts was officially opened on Anniversary Day 1924. The occasion was marked by a successful day of sports. The total takings for the day amounted to over £93, which provided sufficient funds to pay off the outstanding debt. The School of Arts Committee continued their fund raising efforts and apart from the annual sports day also held concerts and dances. Funds were raised for the continuing maintenance of the building and for the provision of a piano, stage and supper room. The stage was added and a piano purchased in 1925, the supper-room being added in 1926. This was a remarkable effort considering the building had only been opened in 1924. 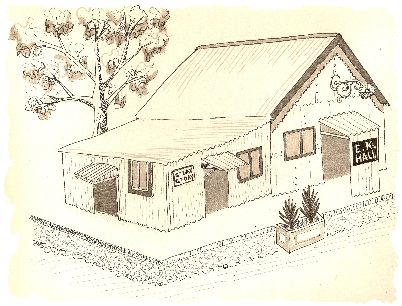 The sketch above done by School of Arts member Ruth.